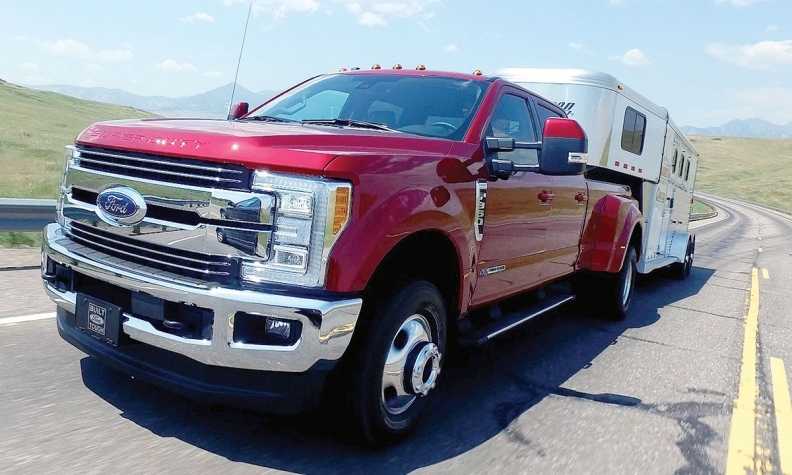 It’s one thing to have an adaptive cruise system that adjusts the speed of a car to match prevailing traffic, but it’s quite another to do the same when the vehicle in question is a 2500-series pickup towing a 14-tonne trailer. The 2017 Ford F-250, pictured, comes to market later this year with an adaptive cruise system that is able to do everything today’s adaptive cruise systems can do, but with a 14,000-kilogram trailer attached. When needed, the system applies not only the truck’s brakes, but also the trailer brakes.